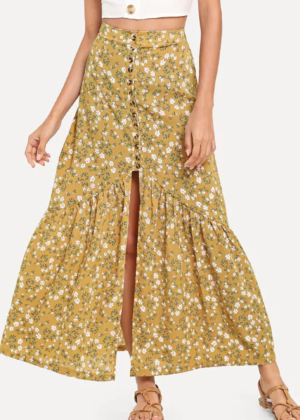 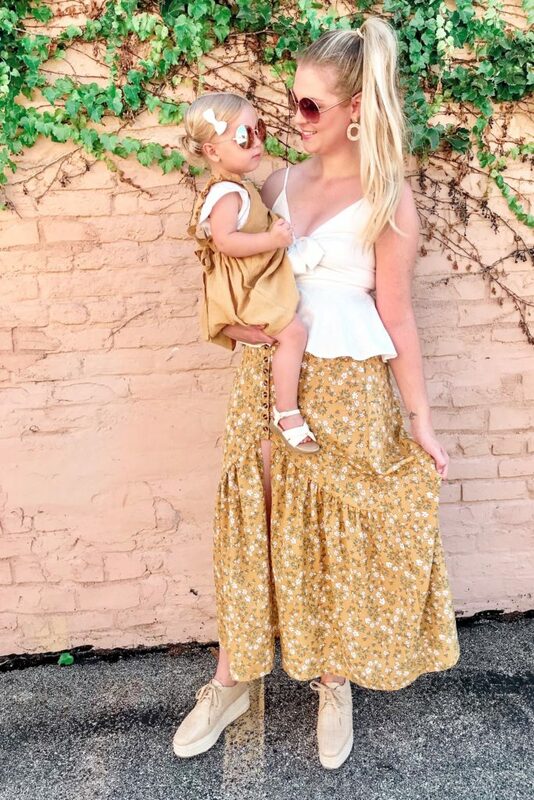 Brooke-Lyn is wearing a yellow button-front maxi skirt covered in floral print (only $15!! 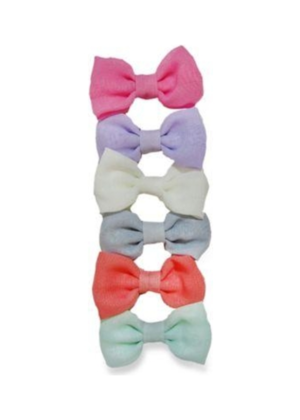 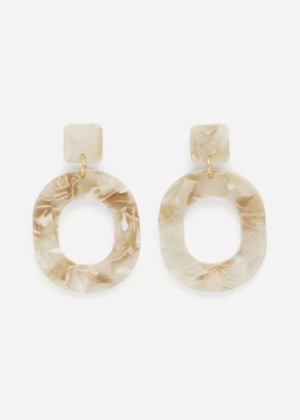 ), paired with a sweet ivory linen tie-front top, some stone earrings (now only $2!! 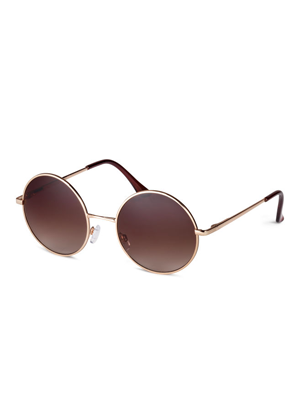 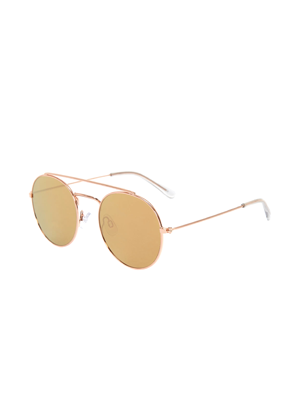 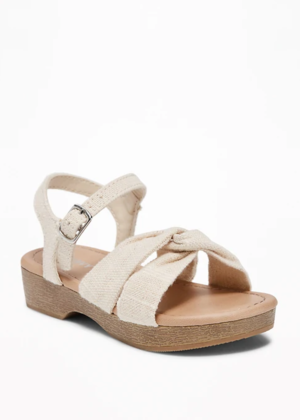 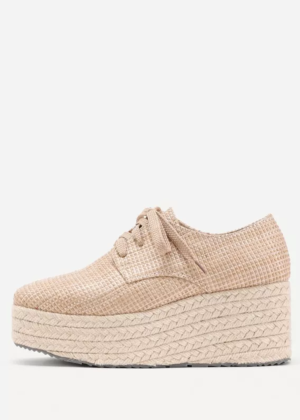 ), platform espadrille sneakers and some round sunglasses. 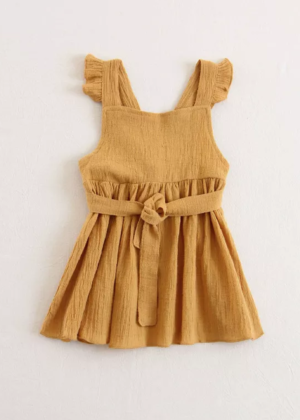 Everley coordinates well wearing a cute yellow mustard linen dress (now only $8), with a flutter sleeve tee underneath. 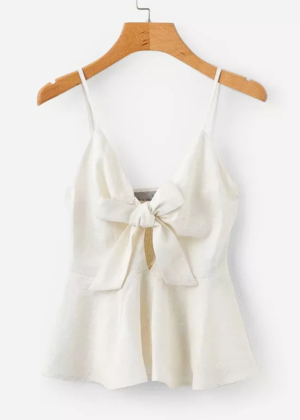 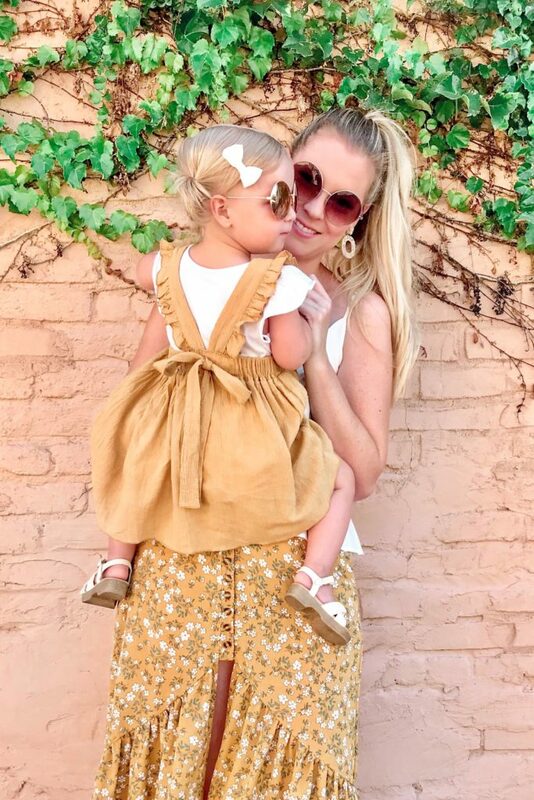 She pairs her outfit with some linen clogs, her favorite little white bow and some matching round sunglasses (sold out, similar here). 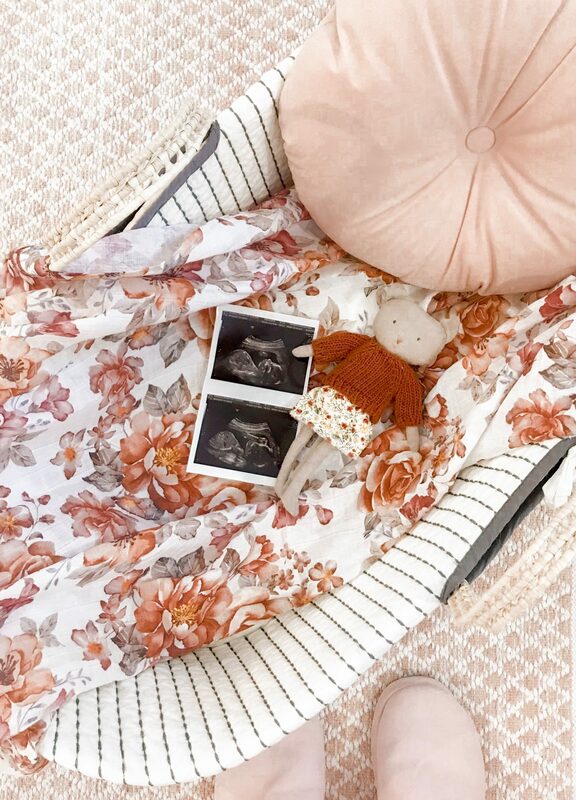 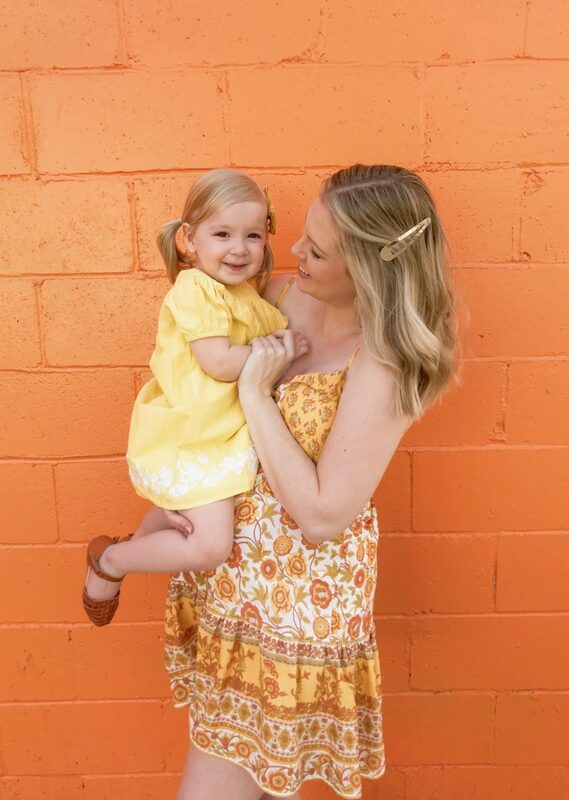 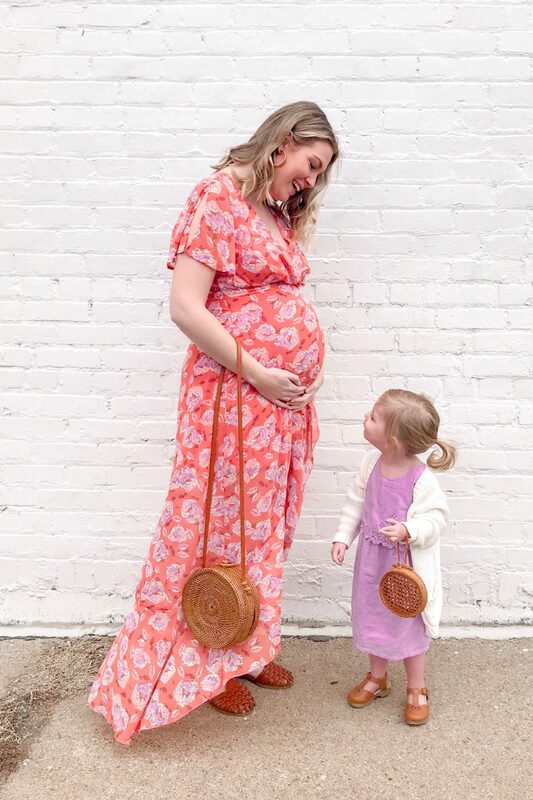 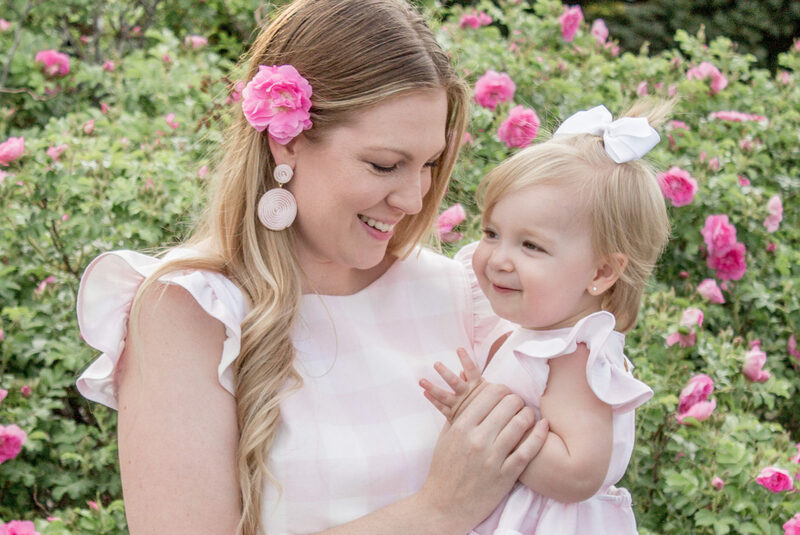 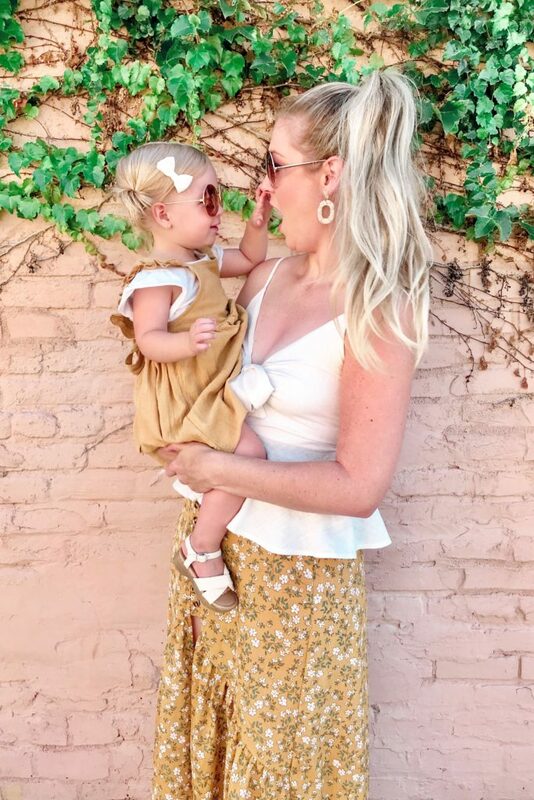 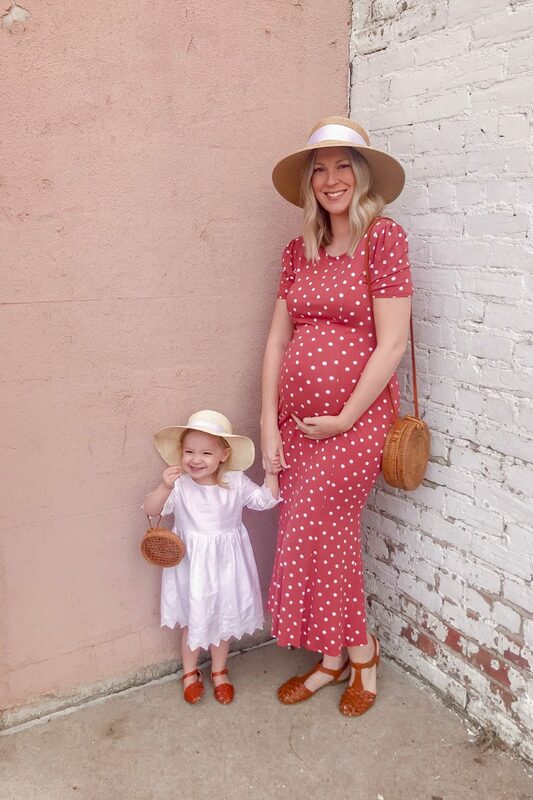 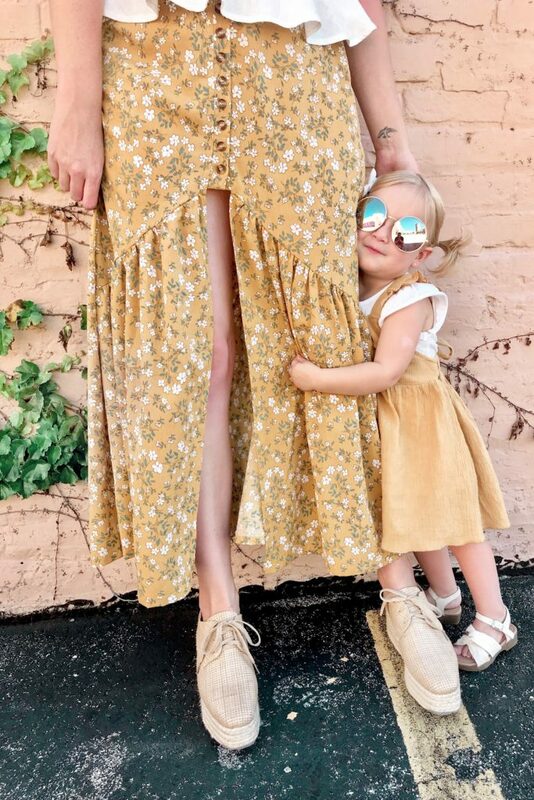 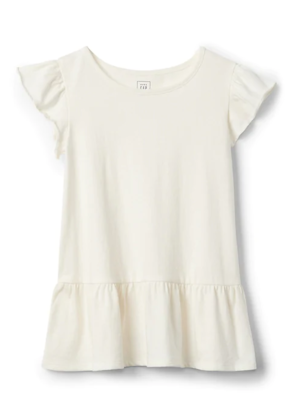 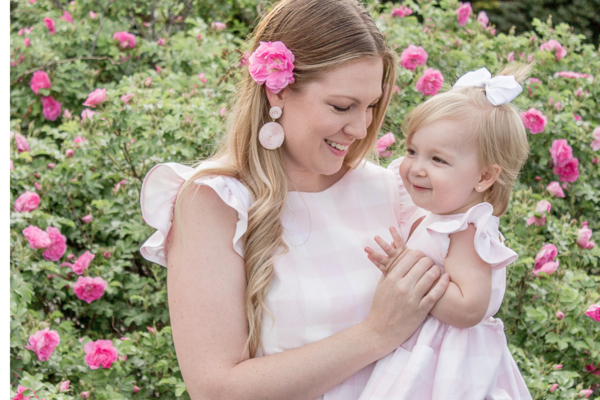 Wearing clothes that coordinate well, avoids the typical “mommy and me” remarks, while still racking up countless compliments from those around you. 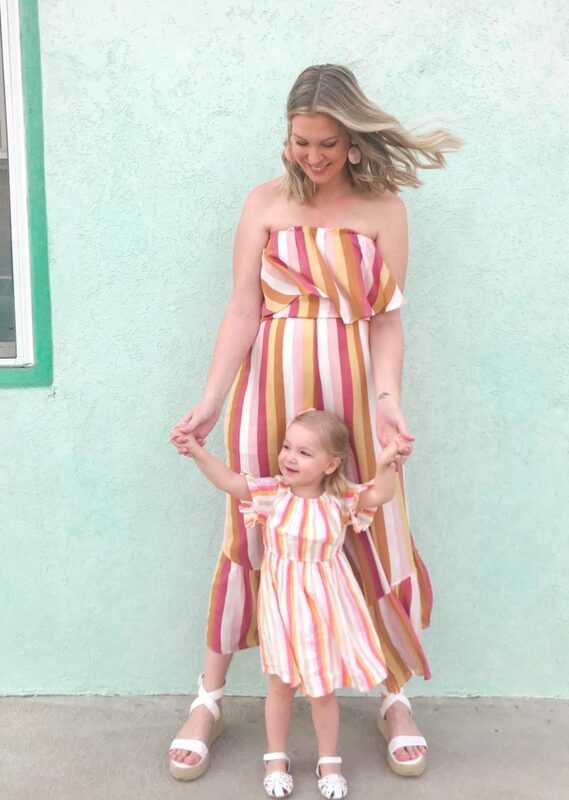 People cannot help but notice your outfits are pleasing to the eye and it’s a great way to make a statement, without being completely matched!